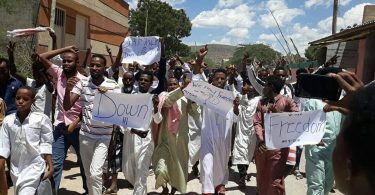 (OPride)—The Ethiopian government on Tuesday said it will “fully accept” and comply with the 2000 Algiers Agreement and the 2002 boundary commission decision in a bid to thaw relations with neighboring Eritrea. The agreement ended a devastating war the two countries fought between 1998 and 2000, which left tens of thousands of people dead. 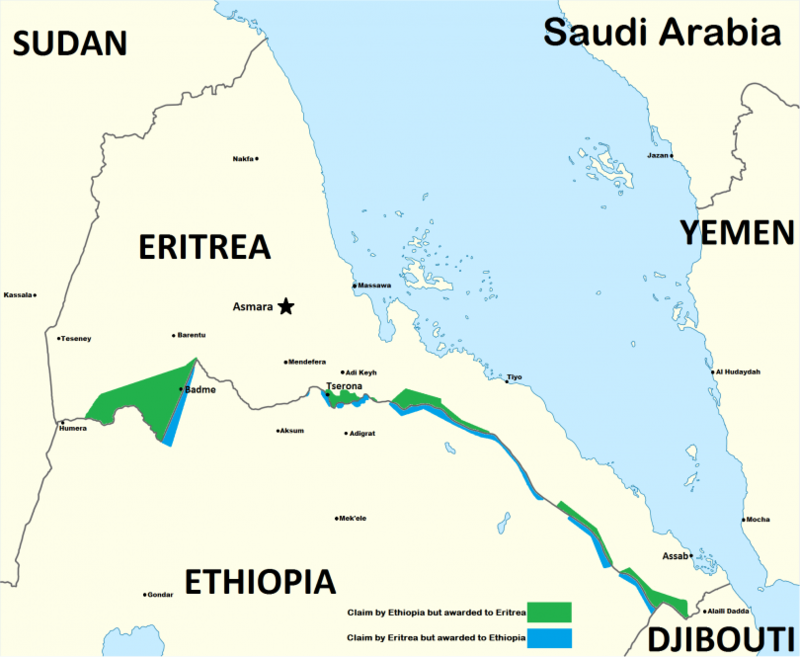 The boundary commission awarded the flashpoint town of Badme to Eritrea, something Addis Ababa refused to accept – until now. If fulfilled, under the latest move, the Ethiopian army will withdraw from the disputed border region and relinquish control of the territory. Both parties signed the Algiers Agreement that ultimately ended open hostilities in 2000. Despite the international ruling that declared Badme Eritrea’s territory, the Ethiopian army has remained in the area. It’s a groundbreaking move that could remake the geopolitical makeup of the entire region. Military conflict may have ended 18 years ago, but Ethiopia’s refusal to adhere to the border ruling led to a “no peace no war” stalemate between the two nations. The border remains closed; disputed areas are manned by thousands of soldiers on each side of the border. Travel and trade was halted. Neither side has made a serious pledge to restore diplomatic relations, with the two neighbors regularly trading barbs and accusing the other of supporting domestic opposition elements. In fact, the conflict even spilled into other countries, particularly Somalia, where both Eritrea and Ethiopia were at some point accused of supporting rival armed groups. However, unlike his predecessors, Prime MinisterAbiy seems committed to fulfill that pledge. During a recent state visit to Saudi Arabia, Abiy reportedly attempted to contact Eritrean President Isaias Afewerki directly. He apparently enlisted the help of the Saudi Crown Prince who called Asmara but the phone call went unanswered. 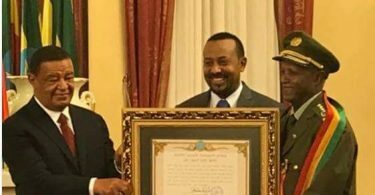 Ethiopia now appears ready to go a step further and make a huge concession, extending an olive branch to the Eritrean government, long deemed to be an archrival and an enemy of the country. 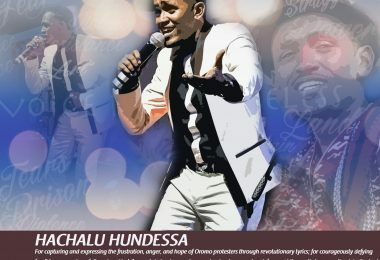 “We call on the Eritrean government to take a similar stance and accept our call without preconditions to take part in the initiative that will restore the peace and togetherness of our peoples to what it used to be,” the EPRDF press release said. Now that Ethiopia has at least verbally agreed to comply with the Algeirs treaty obligations, suddenly, the ball is firmly on Eritrea’s side. The reaction on social media was a mix of shock, surprise, elation and utter disbelief. 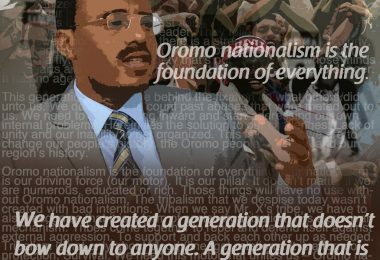 This is a wonderful news for both Eritrean and Ethiopian people. But as more trust building measures Ethiopia now must pull out it’s troops from Eritrean sovereign land. Next step will be border demarcation then sit and sort out all remaining issues. My #Eritrea|n relatives have been cheerfully calling me after I shared the great news re #Ethiopia to fully accept EEBC ruling. We, as a family, are definitely hungry for peace. Something to watch for -> last week TPLF boss Debretsion said: The PM’s efforts to make peace with Eritrea won’t succeed unless Tigray is involved. Warned the Federal govt not to ignore Tigray and pursue peace unilaterally. Said Feds should pay reparation to ppl along the border.